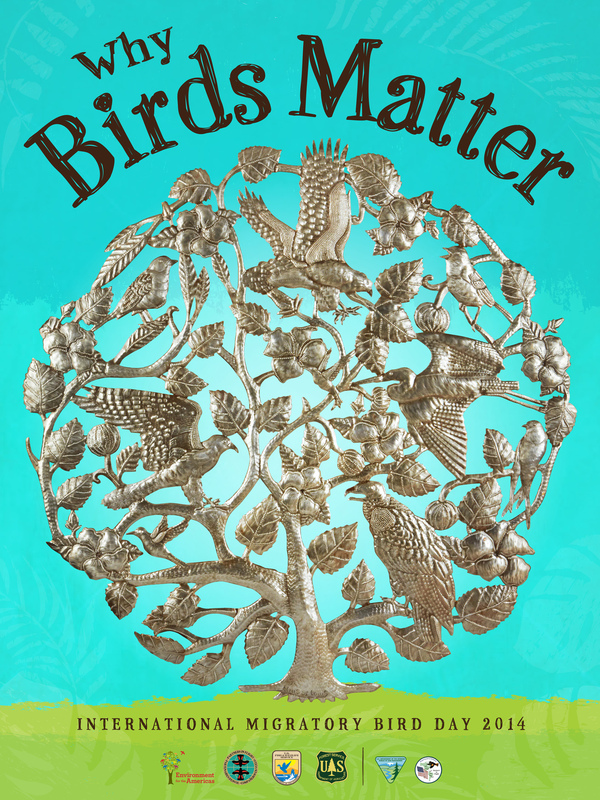 The International Migratory Bird Day 2014 poster theme- Why Birds Matter. 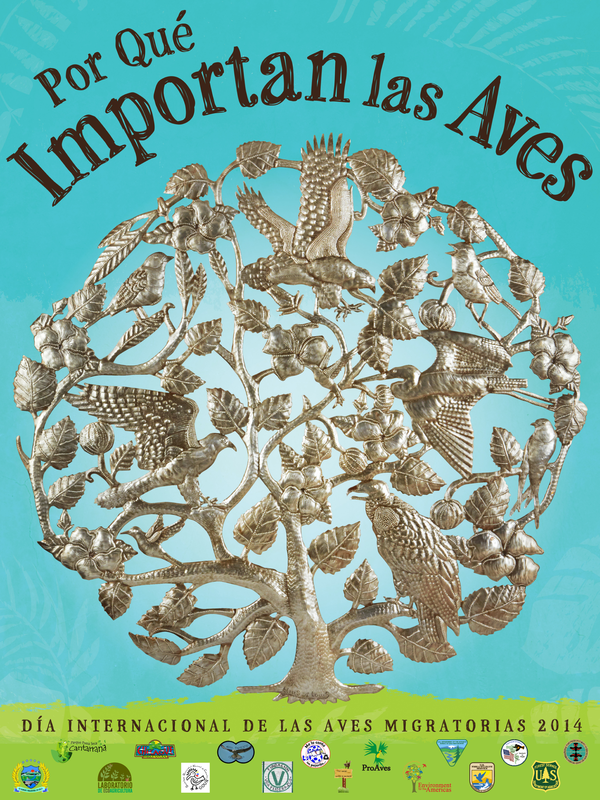 Dia Internacional de las Aves Migratorias 2014 afiche. International Migratory Bird Day poster. Driving on my way home one day I received the important phone call from Natasha Kerr, the Celebrate Shorebirds internship coordinator. She called to let me know they decided to offer me the position. I was shocked and I’m pretty sure Natasha could tell. After the initial muteness I said yes and she congratulated me and I said thank you and so on. Immediately after I had hung up the phone I started yelling with jubilee and and thrusting around in elation, could you imagine what that would look like when you’re stuck in traffic? But who wouldn’t react this way- right? After all I had been struggling to get my foot in the door after college, and now I’m staring what could be the catapult into an amazing career. It was the metaphorical stepping through into a new world, and just like that I hit the floor running taking on the Back to School Night event at the Ridge Creek Mobile Home Community all by myself. I was running the International Migratory Bird Day 2014 themed activity- Why Birds Matter. This year’s IMBD theme focuses on the ecosystem services birds provide. I played the “Who AM I” bird game and colored masks with children. I met representatives of the CU Natural History Museum, Boulder and Lafayette Open space; Coordinators, activist, volunteers, parents and students all which shared this great moment in their community, and I was part of it! I felt like at last I was doing something I could go hang my hat on, and not go home feeling unaccomplished. I realize that in the grand scheme of things, from an outsiders perspective, teaching young children about birds might not look like a great achievement, but there is where the outsider is wrong. I understand the impact that all of us educators had on the life of those kids on that fall night. During the event, I was telling my newly made friend Martin, from Lafayette Open Space, about the fact that later that week I was going birding for the first time. He told me numerous things about birding of which I probably couldn’t remember now, but there was one thing he said that resonated in me so clearly and now in my second week of my internship, I see it becoming a theme. He said “Birding will open up a new world, that you didn’t even know was there” and it did. Not only that, this internship opened a new world, the world where we actively engage in and acknowledge what matters, see Martin had hit it on the head; I had walked around not realizing that I myself could have been advocating for the voiceless all along, the birds, the habitats they live in, and the critters they share it with. The new world is there and very visible, the question is, will you step through for yourself and all the ‘others’ that depend on it?